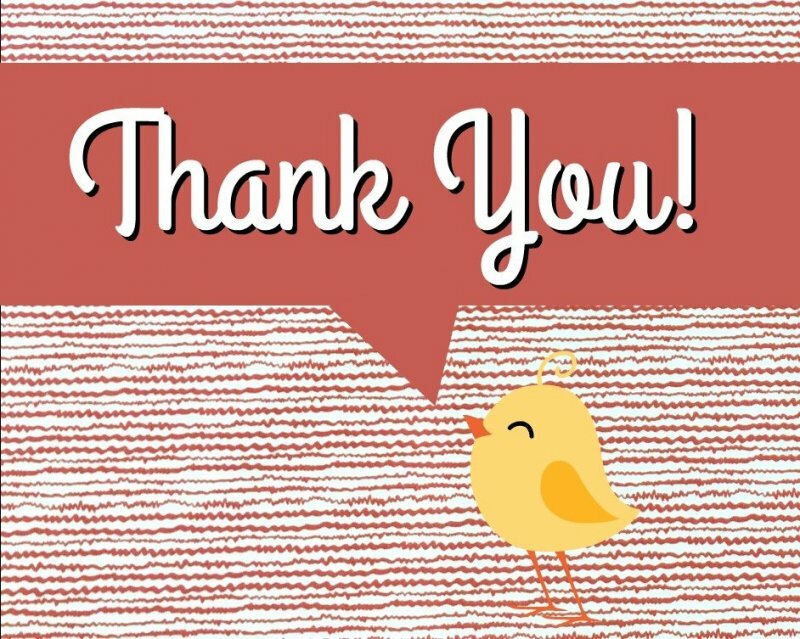 A Special THANK YOU To Our Creative Harvest Festival Participants, plus MORE! We'd like to thank each and every one of our Creative Harvest Festival participants and teachers for making our event one to remember. We've had many of you notice the creative "buzz" coming from the shop all weekend long & that's exactly what we were hoping for! New friendships were made, old ones rekindled, in this gathering of creative people. From wool work, to painting, paper crafts, and those adorable booties -- so many fabulous projects! Thank you for being a part of the excitement. In case you missed picking up something during Creative Harvest Festival, we've put our teachers' -- Roseann Kermes, Jenny Fiedler, Carolee McMullin, Amanda Herring, and Jo Packham -- favorite things all in one spot. Take a look here! We at Hen & Chicks Studio are constantly striving to our shop the best. If you have a minute, we'd love it if you took our quick Customer Survey -- it's only a few questions. Your answers will help us better understand what we can do to help you be creative. Please & thank you! Click HERE to take the Hen & Chicks Studio Customer Survey. Join us for our upcoming Come Create With Me Retreat on Thursday, October 13th from 9am to 6pm in The Nest. Each month we invite you to join us for a wonderful day of creativity. It's just $15 to register -- we provide the food & drinks so that you can concentrate on a few hours of uninterrupted creativity. Sewing, quilting, scrapbooking, painting, beading, and everything in between -- it's all up to you what project(s) you bring. Spots are limited, click here to sign-up! Have you stopped by the Hen & Chicks Studio shop lately? 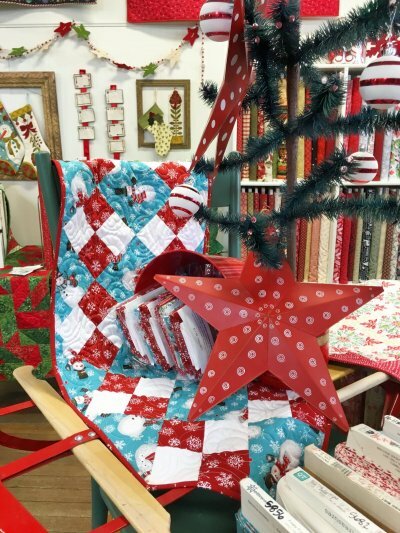 We have rearranged and added so many new fabrics, kits, and samples! Like this new snowman table runner kit -- for less than $20. Find it HERE! 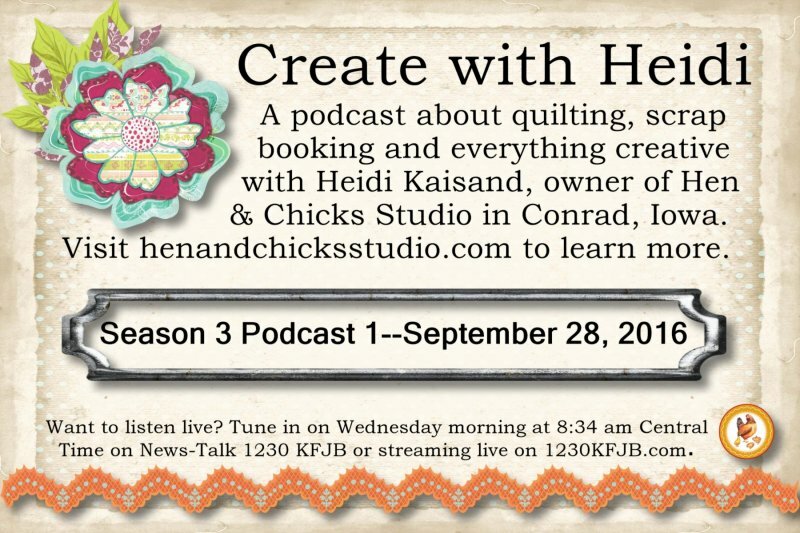 Click to listen to Heidi's Newest Podcast!